Free Hindu Samhati Activists Immediately - Leaflet In Bengali. LAUNCHING a scathing attack on the ruling Trinamool Congress, right-wing outfit Hindu Samhati said Sunday th...at to get 15 per cent of the minority votes in Bengal, Chief Minister Mamata Banerjee had made the lives of the Hindu population in the state miserable. “According to Mamata, 30 per cent of minority votes are with her, but statistics have revealed that she has been able to secure only 15 per cent of the votes in minority dominated areas. 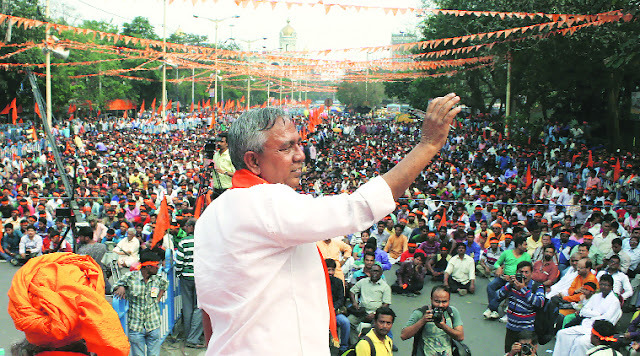 For this, she has made lives of the other 70 per cent population miserable,” said Hindu Samhati founder Tapan Ghosh, while addressing a gathering at Rani Rashmoni Avenue in central Kolkata on the occasion of the outfit’s 8th Foundation Day .